#200: Confederates | mark Joseph "young"
This is mark Joseph “young” blog entry #200, on the subject of Confederates. 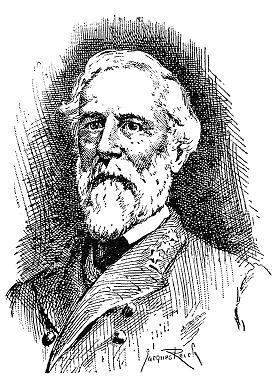 General Robert E. Lee–perhaps the most recognized name on the Confederate side of the American Civil War–never owned a slave. He did marry into the Custis family, descendents of Martha Washington and heirs of the estates of George Washington, some of which had slaves, but he was not an owner. I mention this because there is a great deal of misunderstanding about the Civil War and about the Confederacy in particular. To hear the scuttlebutt, all Confederates were bigoted racists and all northerners enlightened equalitarians. Neither of those claims is true, nor is it true that the war was about slavery–slavery was a bit more than incidental, but ultimately a side issue. Yet today people are fighting over flags and statues that were part of that history, trying to remove them and in the process erase an important part of our history that is relevant today to matters that have nothing to do with race or bigotry. Between the ratification of the United States Constitution and the initiation of the Civil War there was a lingering unanswered question concerning the exact nature of this “more perfect union” the document was intended to create. To citizens in every State, the State was a State–New Jersey had the same status as Denmark, Pennsylvania as France–and these individual independent countries had joined a treaty organization, something like NATO or the United Nations or the European Economic Community. We came to each other’s aid for the common defense, agreed not to place tarriffs against imports and exports between each other, and met together to create laws on which we generally agreed that would bind all of us and were necessary to promote trade and interaction between us. Yet lingering in the background of all this was what we might call the Federalist question. Federalists like James Madison saw the central government as having ultimate authority over the state governments, that whatever was stated as Federal law was binding on all the member states. Democrats like Thomas Jefferson saw the individual states as the ultimate authorities, lending their authority to the Federal government for the better functioning of the whole. The Constitution did not decide that issue; had it done so, it would not have been ratified. Abraham Lincoln, a Republican, believed in the Federalist vision of a united nation, a single country governed from a central authority. He also happened to believe that slavery was wrong, but it was an incidental which he strongly downplayed during the campaign, promising that he would seek no law regarding slavery during his first term of office. The majorities in northern states wanted the country more united. The north was becoming highly industrial, building transportation networks, turning into a tightly knit unit in which business was done between Boston and Chicago more easily than ever before, and a unified legal system was to the benefit of such a system. The south was still an agrarian society, separated by muddy roads and driven economically by the field production of cotton and other cash crops. To northerners, Massachusetts was becoming a piece in a larger puzzle of tight-knit countries more and more connected to each other. To southerners, Alabama was an independent country that signed a mutual defense and trade treaty with a bunch of other distant countries. The fear southerners had of Lincoln was not really that he would end slavery–he had little chance and no intention of doing that any time soon. It was that he would move the union more toward the central government model preferred by the north and strip the powers of the individual member countries in the process. We see the same kinds of conflicts in Europe as they begin to adopt unified currency and banking regulations. So when this icon of unification was elected, states that wanted to maintain autonomy seceded, and the remaining states decided that was not something they could do under the terms of the treaty, leading to a war to decide whether the Federal Government or the State Government had ultimate authority. Of course, the elephant in the room was the one difference that had been a conflict between north and south for generations, that the southern economy was built on a slavery model and many northerners found this immoral–not that they believed blacks were any more human than the southerners believed, but that they were more on the order of animal rights activists trying to protect an exploited creature. Because of the ongoing balance of slave and free states in the Senate, there was no real chance of meaningful legislation on that subject–but a tightening of the concept of Federalism would mean that unified laws would gradually come into being, and that was a threat. So the question over which we fought the Civil War for five long bloody years was whether a member State of these United States had the authority to ignore Federal Law if it wished to enforce its own policies instead. Then it was an entirely theoretical matter, as there were no Federal laws to enforce against the rebelling states, but the answer to the question turned out to be no, once you are a member of this union you are bound by Federal law, which trumps State law when they conflict. So what the Confederates were defending, although they could not have known it, was the right of California to ignore Federal Immigration Law; and the right of Colorado to ignore Federal Drug Law. The answer we were given then is no, Federal Law is enforceable within the member States, and the States cannot contradict it with their own laws. So it seems to me that at least some people who are calling for the removal of Confederate markers and Confederate history actually favor that for which those Confederate soldiers fought and died–the right of states to pass laws and enforce policies contrary to those of the Federal government. It had nothing, really, to do with slavery or bigotry. It had to do with questions we are still facing today. Instead of tearing down reminders of history for wrong reasons and ignorance of their significance, let’s try to gain from them the lessons of the past for the future. Excellent post Mark, insightful look at what’s really going on. And, BTW, glad to see you back and on the mend again.